From the Central Mediterranean to Bangladesh, MOAS has been operating life-saving missions around the world for over four years. All of our work has had one common goal: to save lives and reduce suffering, particularly of migrants, refugees and displaced people. To date, MOAS has reached over 120,000 people. This is how we have made a difference to so many. 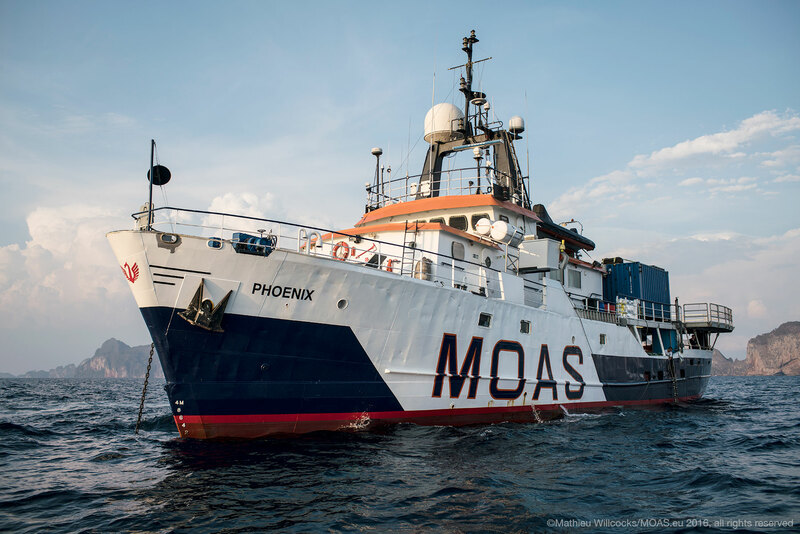 In response to hundreds of drownings in October 2013 off the island of Lampedusa, Italy, in 2014 MOAS began operating in the Central Mediterranean as the first civil society organisation carrying out search and rescue (SAR) in the region. Using our flagship vessel, the Phoenix, and equipped with a specialist SAR crew, a fully-equipped clinic and two humanitarian drones, MOAS carried out four missions across four years, rescuing and assisting 38,421 children, women and men attempting the deadly sea journey from Libya to Europe’s shores. Fa’aid was forced to embark on the dangerous crossing. 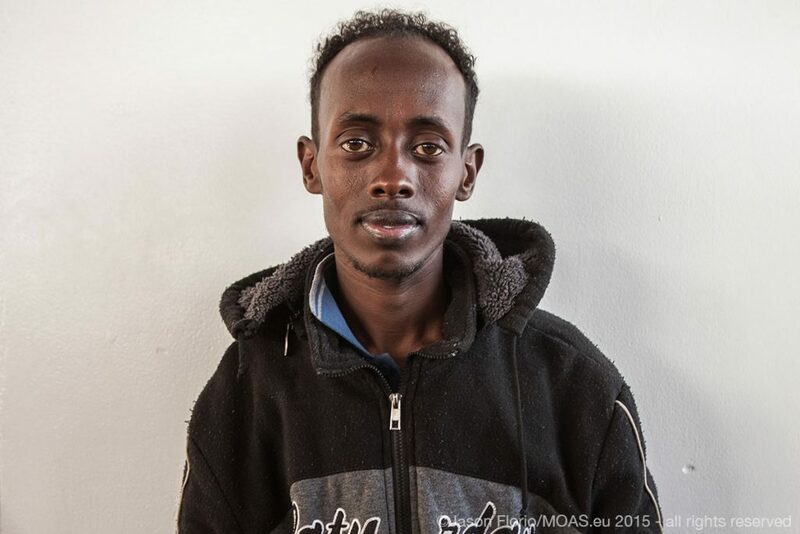 He was 19 years old when the MOAS crew rescued him, and had left his home in Somalia where he lived with his mum, dad and four siblings. Without any real chance of a future due to political instability, lack of economic resources and extreme violence, he was forced to look for opportunities elsewhere. He started his journey two years prior to the rescue, and had travelled through Ethiopia, crossed into Sudan and then Libya, where he was put on a small rubber boat with 120 other people. Unlike the 27,000 people that have lost their lives in the Mediterranean since 1993, he was lucky to be found by our team. When the MOAS crew reached him, he told them he was dreaming of starting a new life in Italy, one where he could continue his education and live in peace. Determined to provide assistance wherever we were most needed, in December 2015, MOAS operated a new SAR mission in the Aegean Sea. Men, women and children from Syria, Afghanistan, Iraq and Somalia tried to reach Greece’s easternmost islands from Turkey, and even though the crossing was relatively short, it was extremely perilous. Over the course of the mission, MOAS engaged in over 30 interventions, saving 1,869 lives from bleak and difficult conditions. 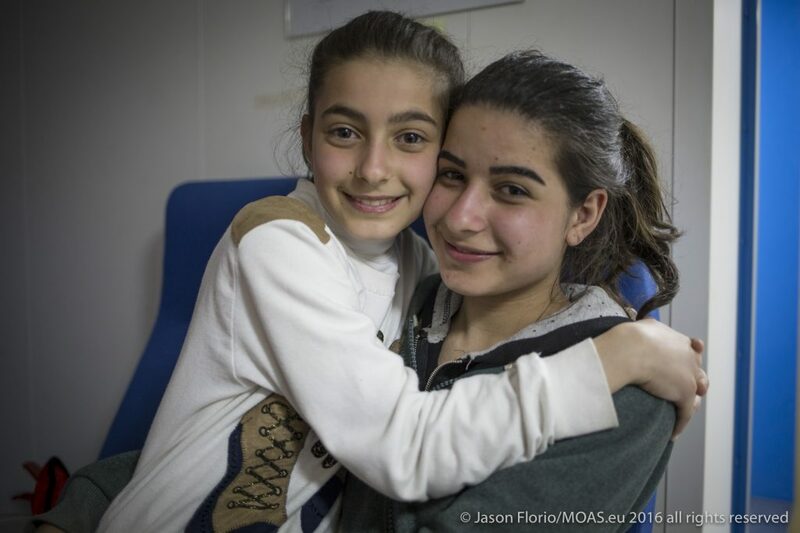 During this mission, the MOAS team met 19-year-old Rojee and her 12-year-old sister Oljana, two Syrian Kurds who had fled persecution and war in their homeland before being rescued by MOAS from a boat carrying 65 people off the coast of Greece. Their mother was already in Germany, and they were desperate to escape war, be with their mother and continue their education. As the Rohingya crisis continued to develop, and reports of maritime routes being established began to reach our team, MOAS headed out with the Phoenix into South East Asian waters. In 2015/16 and again in 2018 MOAS has run observation, monitoring and assessment missions in the Andaman sea, aimed at improving situational awareness of the emerging maritime condition and increasing transparency and accountability in the area of maritime SAR. These maritime operations have served to inform later operations in the region and support other agencies in advocacy and awareness raising, as well as pushing for acknowledgement and engagement with the maritime routes by the relevant authorities. On 14th December 2017, MOAS flew 74 vulnerable refugees out of Libya to Niger, marking our first-ever aerial evacuation mission. This was part of a UNHCR emergency evacuation scheme; an urgent appeal that aimed to resettle 1,300 refugees, most of whom were women and children, out of detention in Libya. Many refugees and asylum-seekers have been and continue to be detained in brutal conditions in Libya for long periods of time; according to the UNHCR, there are currently 5,700 people held in official detention centres alone. The refugees MOAS evacuated – of which 51 were children – were all of Eritrean or Somali nationality and were accommodated in guesthouses in Niamey while the UNHCR worked to secure appropriate resettlement opportunities. Since 25th August 2017, an estimated 706,000 Rohingya refugees have fled from Myanmar across the border into Bangladesh. MOAS arrived in Bangladesh on 3rd September 2017, quickly identifying two areas of intervention: the immediate delivery of food, which resulted in the vessel Phoenix delivering 40 tonnes of desperately-needed aid, and the urgent provision of medical assistance. 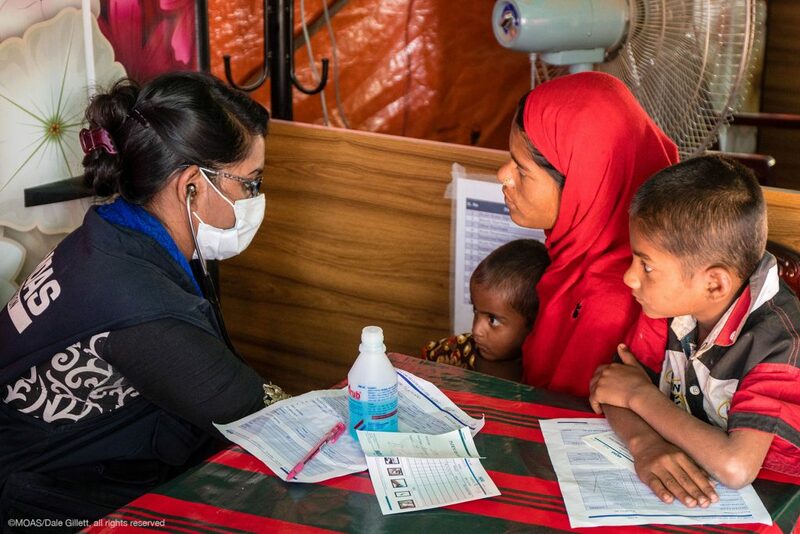 MOAS established two ‘Primary Healthcare Centers’ to serve the refugee camps of Shamlapur and Unchiprang where Rohingya refugees and the host community can receive medical care, such as emergency services, as well as life-saving reproductive, maternal, neonatal and paediatric healthcare. So far, our teams have provided vital care to over 87,000 people. MOAS is a privately funded humanitarian organisation, meaning that our missions have only been made possible by the generosity of our international community of donors and supporters. This Giving Tuesday, we are fundraising to make sure that we are able to continue responding to humanitarian crises around the world. With your help, we can continue to make a difference to the people who need us.